Moskovitz, Mark Zuckerberg‘s former roommate, no longer works at Facebook, the social networking giant that he co-founded. A signee of Bill Gates‘ and Warren Buffett’s Giving Pledge, Moskovitz bikes to work, flies commercial, and pitches his own tent at Burning Man. Few CEOs of any age are under more media scrutiny than Zuckerberg (who’s only 8 days older than Moskovitz). Since taking Facebook public in May 2012, and getting married days later, the hoodie-wearing founder has seen his net worth rise and fall with every fluctuation of the stock price. Albert von Thurn und Taxis first appeared in Forbes’ billionaire rankings at age 8 but officially inherited his fortune in 2001 on his 18th birthday. The eligible bachelor is also a race car driver and tours with a German auto-racing league. Duncan is the youngest of the four children who inherited the massive fortune of late energy pipeline entrepreneur Dan Duncan, founder of Enterprise Products Partners. Today the company owns more than 50,000 miles of natural gas, oil, and petrochemical pipelines. Facebook co-founder Saverin renounced his United States citizenship in 2011, news of which broke days before the company’s IPO and drew accusations of tax evasion. Saverin, immortalized in The Social Network as Mark Zuckerberg’s onetime best friend, settled a lengthy legal battle with Facebook, apparently receiving a 5% stake. A Brazilian citizen, he now resides in Singapore and invests in startups. Yang, the daughter of the founder of real estate developer Country Garden Holdings, is once again China’s richest woman. Her father transferred his stake to the Ohio State grad before the company’s IPO in 2007. Hariri is the youngest son of slain Lebanese Prime Minister Rafik Hariri. He graduated from the Ecole Spéciale d’Architecture de Paris in 2004. While still a student, he ran an interior design studio on the outskirts of the city, and sold furniture to clients in Saudi Arabia. Marie, along with siblings Emmanuel, 42, and Jean-Michel, 45, inherited French dairy giant Lactalis, producers of popular Président brie among hundreds of other cheese, milk and yogurt brands. Parker is revamping his much hyped start-up, Airtime, with the hopes that the video chat site will have the impact of his other Web companies. At 19, Parker skipped college to disrupt the recording industry with music swapping site Napster. 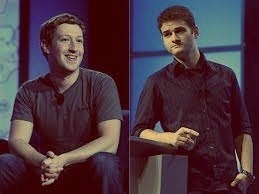 He served as Facebook’s first president at age 24. Hariri is the son of slain Lebanese Prime Minister Rafik Hariri. He’s involved in running Saudi Oger, one of Saudi Arabia’s biggest construction companies, and the source of the Hariri family fortune. Bauer owns 85% of her family’s publishing empire. She is the fifth generation of the family to run the Bauer Media Group, which was founded in 1875. It publishes 570 magazines in 16 countries. Founder and CEO of social-network game site operator Gree, Tanaka has faced stiff competition this year from archrival DeNA and a game initiative by NTT DoCoMo, the giant cellphone carrier. To get back on track, Tanaka moved to partner with Yahoo Japan and went on a buying spree. Nogotkov got his start selling computer programs while in school and later began selling cordless phones. He dropped out of college in order to have more time to focus on building his business. He later founded cell phone retailer Svyaznoy. A Harvard history grad, Domingo Davila is the eldest son from his jet-setting beer magnate father’s second marriage. Now a managing director at a New York-based investment advisory firm, Alejandro sits on the board of the Metropolitan Museum of Art in New York. Dorsey made a name for himself as a cofounder and leader of 140-character microblogging company Twitter, but most of his fortune is derived from his stake in mobile payment company Square. The New York University dropout is a certified masseur known for his eclectic interests, which include, among other things, punk music and clothes. It is essential for sportsmens to remain in form. Your body truly needs a selection of food items to stay wholesome. webpage’s post to be updated regularly. It contains fastidious material. Definitely imagine that which you said. Your favorite reason seemed to be at the internet the simplest factor to be mindful of. not be a taboo matter but generally people do not discuss such topics.